AB Volvo (publ) and the Volvo Group appreciate your interest in our products and your visit to our website http://www.volvo.com/. This privacy and legal notice is general for the Volvo Group website. However, there might exist additional privacy information on the specific websites of the different Volvo Group Companies or on Volvo Group websites providing special function. Such additional information is applicable to any use of such other websites, and nothing herein limits the applicability of such additional information nor does such additional information limit the applicability of the following terms. No personal data is processed about you, unless you enter it yourself or information is made available to you about the processing required.. The website may contain links to non-Volvo Group websites. The Volvo Group is not responsible for the privacy practices of such websites. When you view this website, we may store some information on your computer in the form of a "cookie". Cookies are used by many websites to give visitors access to certain functions. The information stored in the cookie can also be used to monitor a user's behavior on the website. There are two types of cookies: the first saves a file for an extended period on your computer and is used to determine whether there has been any contact between us and your computer in the past. The second type is called a 'session cookie', and is stored temporarily in your computer's memory while you are visiting the website. Session cookies are not stored in your browser for an extended period, but are deleted when you close your browser. The contents of the website are copyright of AB Volvo (publ) (or its subsidiaries where so indicated and/or its licensors), SE-405 08 Göteborg, Sweden. All Rights Reserved. Information on the website, including but not limited to, text, images and sound, may not, except for strictly private purposes or where otherwise indicated, be reproduced, transferred, distributed or stored without prior written permission by AB Volvo (publ). Modifications to the contents of the website are expressly prohibited. Some parts of the website contain images that are subject to the copyright rights of their providers. Unless otherwise indicated on the website, displayed marks, corporate logos and emblems, such as, for example, the symbol shown below are subject to the trademark rights of Volvo Trademark Holding AB and/or AB Volvo (publ) (or its subsidiaries or affiliates), or their respective licensors. INFORMATION ON THIS WEBSITE IS PROVIDED "AS IS". IN NO EVENT WILL THE VOLVO GROUP BE LIABLE TO ANY PARTY OR ANY DIRECT, INDIRECT, SPECIAL OR OTHER CONSEQUENTIAL DAMAGES FOR ANY USE OF THIS WEBSITE, OR ON ANY OTHER HYPERLINKED WEBSITE, INCLUDING, WITHOUT LIMITATION, ANY LOST PROFITS, BUSINESS INTERRUPTION, LOSS OF PROGRAMS OR OTHER DATA ON YOUR INFORMATION HANDLING SYSTEM OR OTHERWISE, EVEN IF WE ARE EXPRESSLY ADVISED OF THE POSSIBILITY OF SUCH DAMAGES. The Volvo Group makes no warranties and/or representations whatsoever about any other website, which you may access through this website. The provision of links to such websites does not mean that the Volvo Group endorses or accepts any responsibility for the contents or the use of such website. In addition, it is up to you to take precautions and to ensure that whatever you select for your use is free of such items as viruses, worms, Trojan horses and other items of a destructive nature. Information on this website may contain technical inaccuracies or typographical errors. The information contained on this website may be changed at any time without prior notification or obligation. Information that is published on the website may contain references or cross references to Volvo Group products, services etc. that are not announced or available in your country. The accuracy of such information cannot be guaranteed, particularly since this information is subject to change, specific requirements or availability and such references do not imply that the Volvo Group intends to announce such products, services etc. in your country. Contact your local dealer for complete details regarding the products, services etc. which may be available to you and for ordering. Any information, unsolicited suggestions, ideas or other submissions will be deemed not to be confidential and non-proprietary. By sending any information or material, you grant AB Volvo (publ) and the Volvo Group an unrestricted, irrevocable license to use, reproduce, display, perform, modify, transmit and distribute those materials or information, and you also agree that AB Volvo (publ) and the Volvo Group are free to use any ideas, concepts, know-how or techniques that you send us for any purpose. Any software that may be available to download from this website (the "Software") is the copyrighted work of AB Volvo (publ) (or any of its subsidiaries or affiliates) and/or its suppliers. Use of the Software is governed by the terms of the end user license agreement, if any, which accompanies or is included with the Software ("License Agreement"). Unless otherwise is expressly stated in the License Agreement the Software is made available for downloading solely for use by end users. Any use, reproduction or redistribution of the Software not in accordance with the License Agreement may result in civil and criminal penalties. WITHOUT LIMITING THE FOREGOING, COPYING OR REPRODUCTION OF THE SOFTWARE TO ANY OTHER SERVER OR LOCATION FOR FURTHER USE, REPRODUCTION OR REDISTRIBUTION IS EXPRESSLY PROHIBITED. THE SOFTWARE IS WARRANTED, IF AT ALL, ONLY ACCORDING TO THE TERMS OF THE LICENSE AGREEMENT. 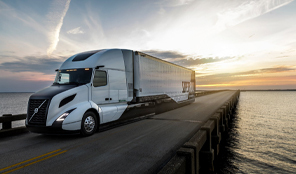 EXCEPT AS EXPRESSLY WARRANTED IN THE LICENSE AGREEMENT, THE VOLVO GROUP HEREBY DISCLAIMS ALL WARRANTIES AND CONDITIONS WITH REGARD TO THE SOFTWARE, INCLUDING ALL IMPLIED WARRANTIES AND CONDITIONS OF MERCHANTABILITY, FITNESS FOR A PARTICULAR PURPOSE, TITLE AND NON-INFRINGEMENT. In case you have questions about the above sections, do not hesitate to contact AB Volvo (publ) through the Volvo Group's Contact Us page. All textual, graphical and other content appearing on this internet website (''Site''), and any source code used in the development and ongoing maintenance of this website, unless otherwise noted, are the property of Volvo Group North America. All Rights Reserved. 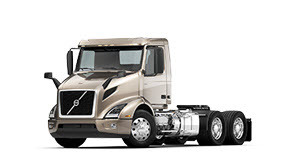 Information on the website, including but not limited to, text, images and sound, may not, except for strictly private purposes or where otherwise indicated, be reproduced, transferred, distributed or stored without prior written permission by Volvo Group North America. 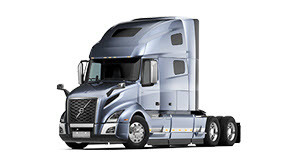 Modifications to the contents of the website by anyone other than Volvo Group North America are expressly prohibited. Use of this website signifies any and all users' acknowledgement and acceptance of the following Terms and Conditions, and waiver (to the extent permitted by law) any claims to the contrary. Specifically in regards to the Privacy and Submission of Information Policy below, by using this website and submitting any ''Information'' (as such term is defined in the Privacy and Submission of Information Policy below) and any ideas, know-how or techniques contained in such Information, any and all users of this website acknowledge their awareness of and agreement to the terms of the Privacy and Submission of Information Policy in regards to such Information as set forth in detail below, and waive (to the extent permitted by law) any claims to the contrary. Volvo Group North America within the text of this website. Users of this website may view, copy, print and use content contained on this website solely for their own personal, informational uses only and provided that: (1) no graphics available from this website are used, copied or distributed separate from the accompanying text, except to the extent, if any, otherwise specifically permitted within the text of this website; and (2) no text, graphics or other content available from this website is modified in any way. 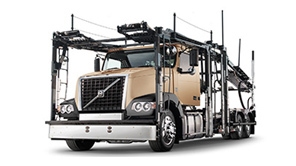 Volvo Group North America does not provide, nor does any employee, agent or contractor of Volvo Group North America have any authority to provide, any legal, tax or accounting advice through or otherwise in connection with the operation, presentation or maintenance of this website. TO THE EXTENT PERMITTED BY LAW, Volvo Group North America EXPRESSLY DISCLAIMS AND GIVES NO EXPRESS OR IMPLIED WARRANTIES OF ANY NATURE (INCLUDING BUT NOT LIMITED TO WARRANTIES OF MERCHANTABILITY OR FITNESS FOR A PARTICULAR USE OR NONINFRINGEMENT) WITH RESPECT TO THIS WEBSITE AND THE INFORMATION PRESENTED OR AVAILABLE ON THIS WEBSITE OR TO THE PRODUCTS OR SERVICES ADVERTISED, PRESENTED OR DESCRIBED ON THIS WEBSITE (AS ALL SUCH PRODUCTS AND SERVICES ARE SUBJECT TO ANY WARRANTY TERMS AND LIMITATIONS GIVEN AT THE TIME THE SALE OF SUCH PRODUCTS AND SERVICES IS CONSUMMATED). VEHICLE AND VEHICLE PART SPECIFICATIONS MAY VARY FROM COUNTRY TO COUNTRY DEPENDING ON LOCAL LAWS, AND SOME MODELS AND PARTS MAY NOT BE AVAILABLE IN CERTAIN COUNTRIES. This website and all information presented on this website are provided ''AS IS''. 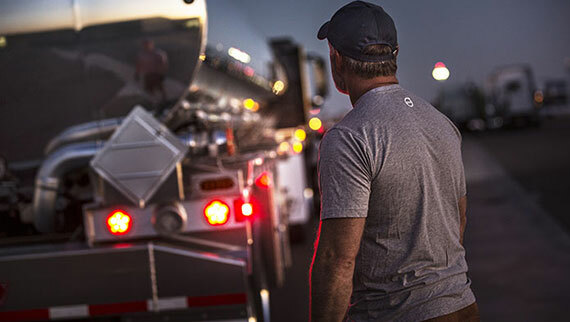 Volvo Group North America reserves the right at any time and without prior notice to modify or discontinue products and services offered by Volvo Group North America without incurring any obligation to any user of this website. Pictorial representations of products or other items featured on this website may vary to some extent from the actual appearance of such products and items. This website may not be available from time-to-time for various reasons. Information and data presented or available on this website, as well as any of these terms and conditions, is/are subject to change at any time without notice, and Volvo Group North America does not guarantee or warrant the accuracy, adequacy or completeness of such information. All users agree to waive any claims, losses or damages, of any nature, against Volvo Group North America for such downtime of the website or the inaccuracy or inadequacy of, error or delay in, or omission of any information or data provided or presented in connection with or available on this website or any other website linked to this website, or transmitted or delivered to such users by or in connection with this website or other website. This website may be accessed internationally and could contain references or access to descriptions or representations of products, services and programs marketed by Volvo Group North America that are not available or are prohibited in some users' countries, and such references do not imply that Volvo Group North America intends to make available in such countries those unavailable or prohibited products, services or programs or that such products, services or programs may be lawfully offered or used in any such countries. TO THE EXTENT PERMITTED UNDER LAW, Volvo Group North America WILL NOT BE LIABLE TO ANY USER FOR DAMAGES OF ANY KIND, INCLUDING WITHOUT LIMITATION ANY SPECIAL, INDIRECT, INCIDENTAL, OR CONSEQUENTIAL DAMAGES EVEN IF Volvo Group North America HAS BEEN ADVISED OF THE POSSIBILITY OF SUCH DAMAGES. 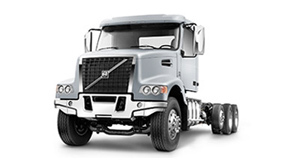 Volvo Group North America intends to display from time-to-time 'price quotes' for certain products based on certain available specifications as designated by individual users of this website. Individual users may from time-to-time create reproductions of those ''price quotes'' and Volvo Group North America anticipates that such users may then reveal those ''price quotes'' to Volvo dealers. These ''price quotes'' are estimates only. ALL USERS OF THIS website ACKNOWLEDGE THESE ''PRICE QUOTES'' ARE NOT OFFERS MADE BY Volvo Group North America OR ANY OTHER PERSON OR ENTITY AND THAT THE ACTUAL RETAIL PRICE CHARGED BY ANY VOLVO DEALER MAY VARY FROM THE ''PRICE QUOTE'' OBTAINED THROUGH THE USE OF THIS SITE BY ANY INDIVIDUAL USER OF THIS SITE, AS VOLVO DEALERS ARE NOT REQUIRED TO OFFER A PRICE IDENTICAL OR WITH ANY PARTICULAR DEGREE OF SIMILARITY TO ANY ''PRICE QUOTES'' OBTAINED BY ANY USER THROUGH THE USE OF THIS SITE. If any provision of these Terms and Conditions, or the following Privacy and Submissions of Information Policy, or portion thereof, shall for any reason and to any extent be declared invalid or unenforceable, the remainder of these Term and Conditions and/or the following Privacy and Submissions of Information Policy, as the case may be, or the application of such provision or portion thereof to persons or circumstances other than those as to which it is held invalid or unenforceable, shall not be affected thereby, but rather shall be enforced to the fullest extent permitted by law. Volvo Group North America, or regarding the content of this website, will be deemed to be non-proprietary and non-confidential, and Volvo Group North America shall have no obligation of any kind in regards to such Information. Upon receipt of such Information Volvo Group North America shall be free to reproduce, use, disclose and distribute the Information to others without limitation. Moreover, Volvo Group North America shall be free to use the Information, and any ideas, know-how or techniques contained in such Information or developed from such Information for any purpose whatsoever, including but not limited to the development, manufacture or marketing of products or services incorporating such Information, ideas, know-how or techniques. Notwithstanding the foregoing, and without limiting the rights Volvo Group North America hereby reserves to distribute general information about any or all of the users of this website (without specifically identifying such users) and/or collect and use any such information for Volvo Group North America and its corporate affiliates' own internal purposes. Privacy and Submission of Information Policy - Personal Information. 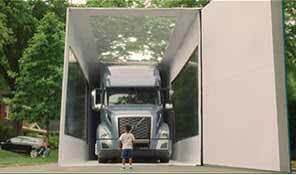 Volvo Group North America will not distribute information that specifically identifies any user of this website individually unless such user gives his/her/its prior approval in response to a request made by Volvo Group North America. 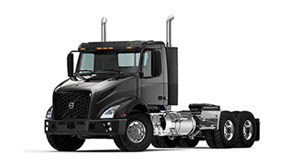 From time-to-time, Volvo Group North America may send users of this website emails to notify such users of various information, including marketing campaigns, product and service offerings, organizational information, or other items that Volvo Group North America feels may be of interest to such users. Should any user at any time desire to stop receiving any such emails or to remove the user's personal information from its database, then such user must notify Volvo Group North America, in writing by certified mail, U.S. postage prepaid, at the following address that such user does not wish to receive any more such emails or desires Volvo Group North America to remove user's information from its database, as applicable: Volvo Group North America. From time to time, we may conduct surveys and contests via this website. If you participate, we may collect your name, email address, mailing address and other personal information. We will never sell or rent such information to any third parties. Deliver merchandise and services that you purchase online. Prevent fraud and bill you for your purchases. Respond to your customer-service inquiries or requests. Comply with valid legal procedures, requirements, regulations, or statutes. We never sell or rent your personal information to any third parties under any circumstances. We will share personal customer information and/or purchase history only with our agents, representatives, service providers, and contractors for limited purposes, including but not limited to, fulfilling customer orders; offering certain products and services in connection with this website; communicating to customers; providing customer service; enhancing and improving customers' shopping experience; administering or facilitating surveys or contest; offering targeting marketing communications to users; enabling access to our partners' websites; providing a personalized shopping experience; preventing fraud; and completing payment method processing. The security of your personal information is very important to us. In our efforts to protect your online transactions, we use a technology called Secure Sockets Layer (SSL). If your browser is capable of SSL (and many are), your personal information will be automatically encrypted, or encoded, before it is sent over the Internet. If your browser is not capable of SSL, we recommend that you not provide personal information, including credit card information.